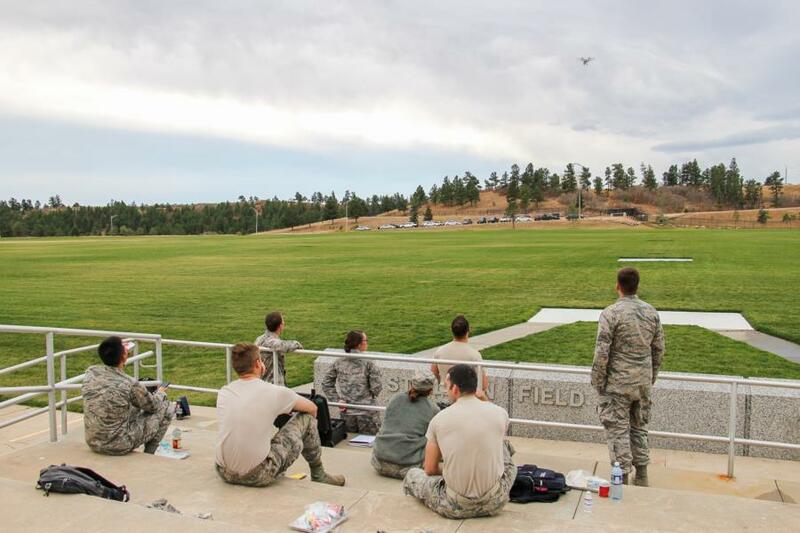 The UAS Airmanship program otherwise known as RPA, is now in its 7th year here at USAFA. 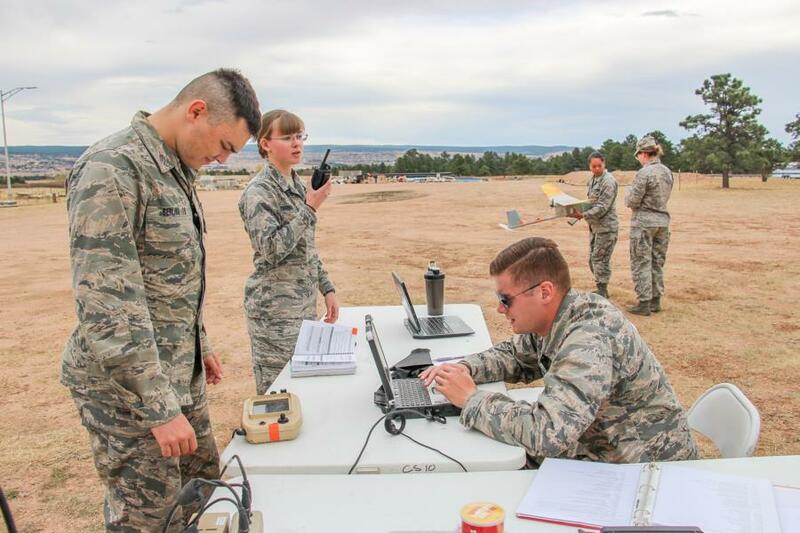 The program itself is a very hands-on program, for what used to be a unique field for the Air Force which now more cadets seem to be adding to their list of options of career paths to choose from after they graduate. "Cadets' ongoing preparations to meet evaluator requirements include in-depth training and evaluation with every facet of the Small Unmanned Aircraft System operations program. Once certified, cadets will have instructing opportunities with three-degree cadets in the UAS program in addition to qualifying as fully certified site leads, who oversee all operations at launch and recovery sites..."
"The intent is that cadets will run the SUAS program from a leadership, instructor and evaluator perspective. With cadets running the program from the ground up, the officers and contractors will become mentors to the cadets." Cadets who take the Summer UAS (Unmanned Aircraft Systems) Program, otherwise known as RPA (Remote Piloted Aircraft) learn basic employment of UAS-RPA for intelligence, surveillance, and reconnaissance operations. This program is revolutionizing the ability to monitor and understand the global environment. These aircrafts are operated by remote pilots and range in wingspan from less than six feet to more than 115 feet. UAS can also collect data from dangerous or remote areas. Ground school and RPA flight training using actual small RPAs, includes general airmanship concepts, basic RPA piloting skills training, and an introduction to real-world RPA tactics, techniques, and procedures. The flying portion includes approximately 7 sorties comprising 7 flight hours where students control UASs and UAS sensors using RPA strategies and procedures. 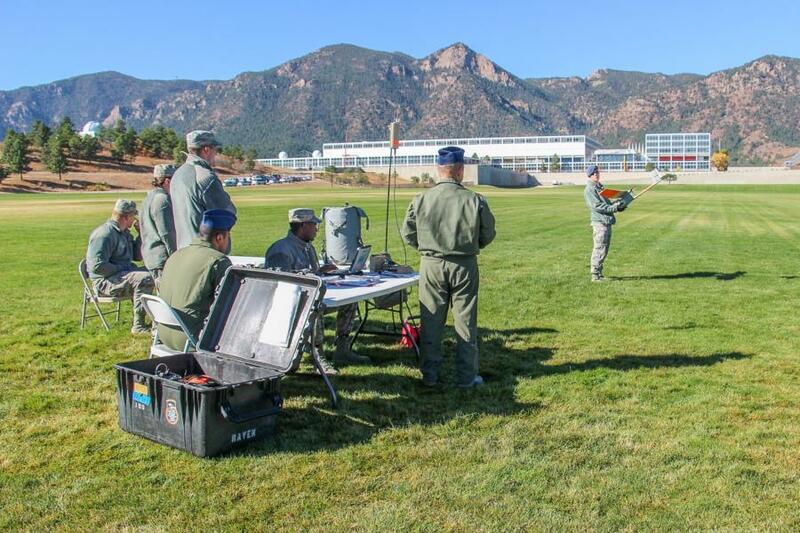 Completion during summer before third-class year fills one military training requirement and following their years at USAFA will help prepare them to meet battlefield challenges they may encounter as officers in the Air Force. From the cadets who participated in RPA during the summer periods, a small percentage have returned for an instructor upgrade program during the academic year. Unlike the Airfield programs where there are several Go's between August and December or January and May, RPA will have the same cadets from the beginning of the semester to the end. We were able to catch both the M and T Day cadets involved in RPA this semester. To view more pictures from our coverage of the Fall Semester's M and T Day classes go to; Galleries - Airmanship - RPA. Or click the link below.